Speaking of which, last minute holiday shoppers can be a godsend to retailers because they give you plenty of opportunities for sales and engagement. And that’s exactly what we’ll be talking about today. In this post, we’re offering some practical tips to help attract—and convert—last-minute holiday shoppers. Speed is critical to converting last-minute customers. Remember, these shoppers are pressed for time and need to complete their purchases ASAP. They want to browse, shop, and pay with ease. That’s why you should remove any friction points that are slowing down the shopping experience and ensure that shoppers can get their hands on products in the most convenient way possible. Also instruct your staff to be more diligent with cleaning and organizing your store. Have them move about the shop and be on the lookout for disorganized products or items that aren’t in their proper shelves, so they can tidy up immediately. 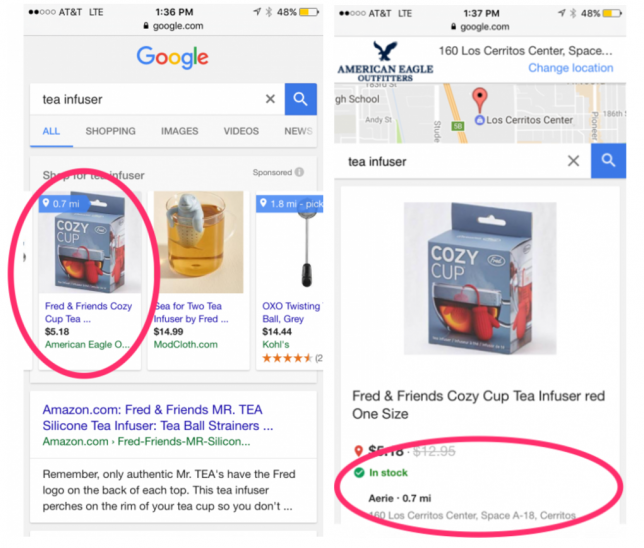 Store navigation improvements can also be applied to your ecommerce shop. 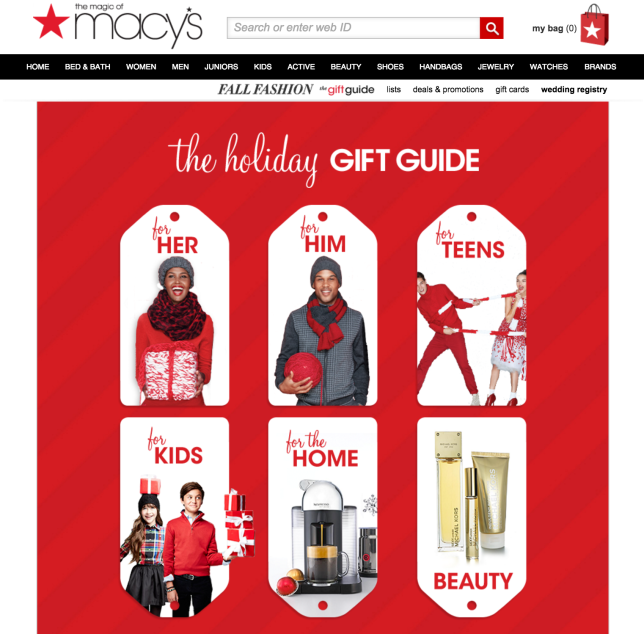 If you’re selling online, create banners or even special navigation links for the season. For example, why not have a collection or page filled with your top holiday products or gift items, then put up a link in your navigation bar to direct people to the page? You should also have holiday-themed banners up on your front page so visitors can get to your offers or products in as few clicks as possible. Look at what Dormify is doing. The homeware retailer has a special “Gifts” link on its navigation bar to make it easy for people to access the merchandise. Dormify even changed the font color of the link so users don’t miss it. 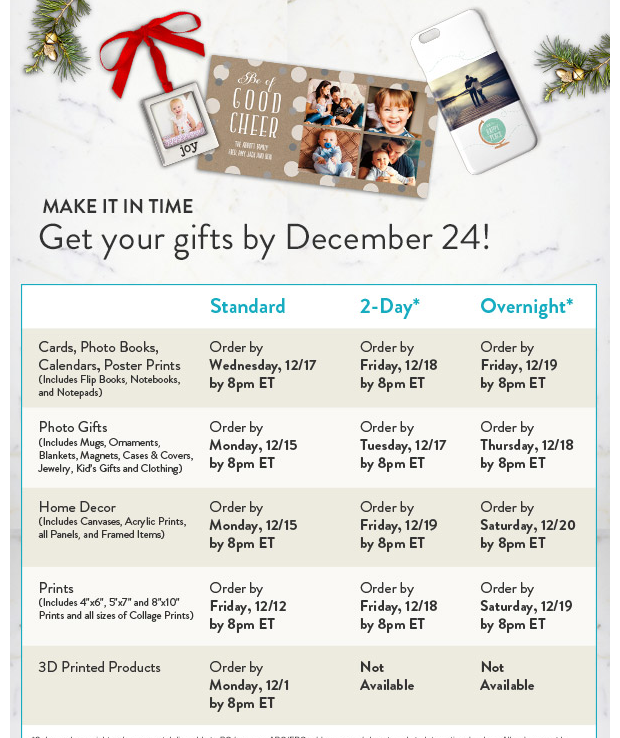 And to make things even more convenient, Dormify grouped gifts by price (i.e. 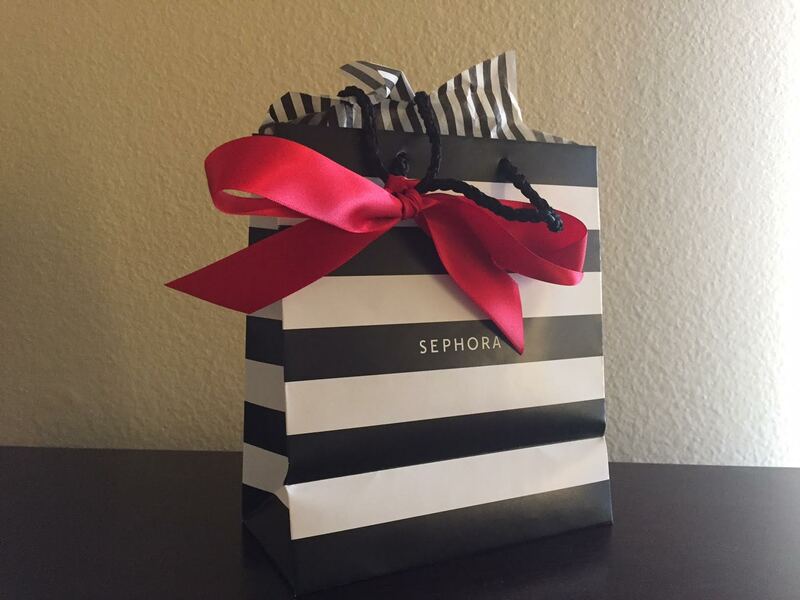 Under $25, Under 50), by recipient (i.e For Her, For Him), and by category (i.e. Stocking Stuffers, For the Home, Travel). When customers have already decided that they want to buy from you, the last thing you want is to lose them at checkout. 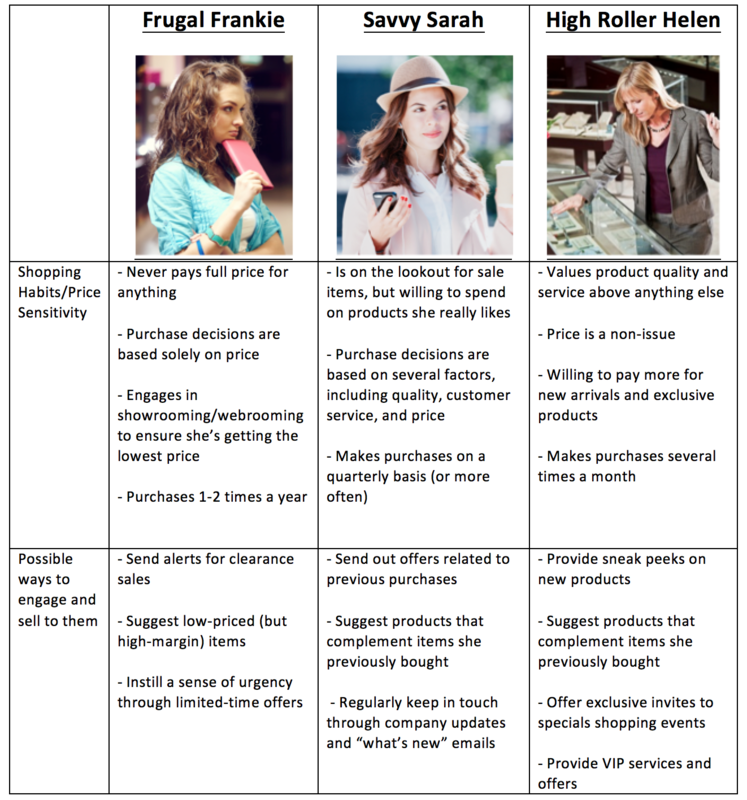 Unfortunately, many retailers seem to be dropping the ball when it comes to ringing up sales. Between long lines and associates having trouble with the POS, the checkout experience can be frustrating and could lead to shoppers abandoning their purchase. Prevent this by improving the checkout experience. Depending on your store, there are a number of ways to go about this. 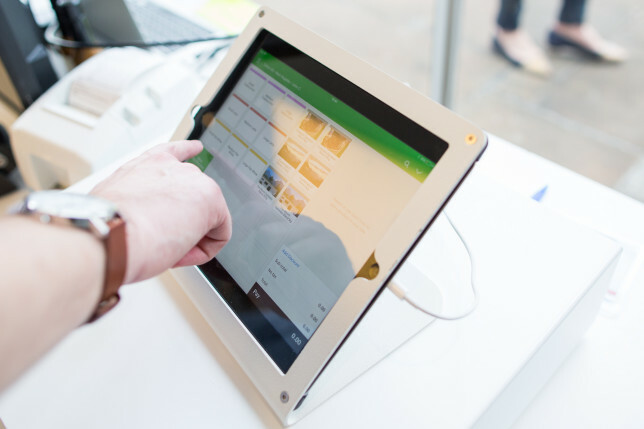 Some stores are replacing their slow cash registers with mobile POS systems that not only work faster, but can also speed up checkout through functions like email receipts and mobile payments. Other retailers are taking things a step further by untethering their POS system altogether. This lets associates ring up purchases on the sales floor, rather than from behind a cash wrap. Consider what Magic Memories is doing. The tourism photography company replaced their old POS system with an iPad-based one. This, according to Chief Operating Officer Steve Taitoko, gave the Magic Memories staff the mobility to better interact with customers. “Since we’re able to use tablets to process payments, our staff can actually go out to where the customers are, as opposed to just sitting behind the register waiting for people to come up,” he said. Speed is obviously critical for online retailers. Studies have found that “40% of people abandon a website that takes more than 3 seconds to load.” This means that a few seconds delay in your site’s load time could result in you losing about half of potential customers. That’s a big chunk, especially during the holidays, so make sure you address all your site speed issues (and prevent them from turning up) before the season’s shopping rush. 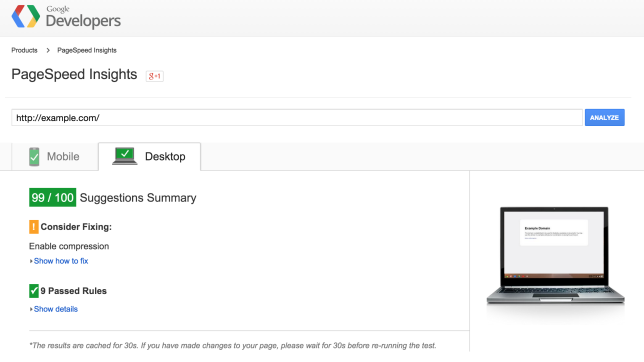 To check your site speed and to see the things slowing you down, you can use Google’s PageSpeed Insights tool here. Also be sure to check out our post on addressing high ecommerce bounce rates for more insights on optimizing your online store. We’ve said it before, and we’ll say it again: Efficient order fulfillment is important all year round, but during the holidays, it becomes a make-or-break factor. See to it that you’re able to get products to your customers as quickly (and reliably) as possible. If you’re shipping merchandise, be sure to inform (and continuously remind) your customers of your cut-off dates so they know when to place their orders. You may also want to create an easy to read shipping chart, such as the one by Snapfish below, so your customers can get an at-a-glance guide on when they should place their orders by. The holidays are also the perfect time to provide in-store pickup and same day delivery services. Last-minute holiday shoppers are always in a hurry (for obvious reasons) so they would appreciate the option to pick up their purchases on their own time or have it delivered on the same day. 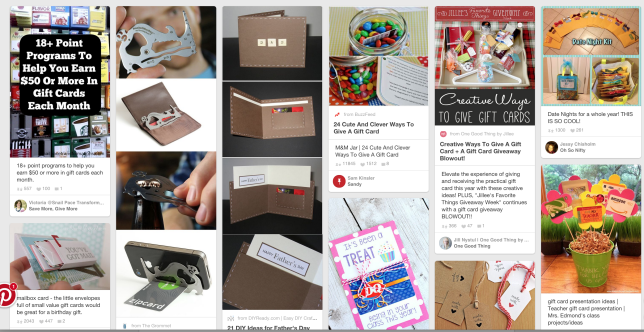 Your last-minute customers could use a bit of help and inspiration finding presents. Give them a leg up using gift guides filled with ideas and product recommendations. 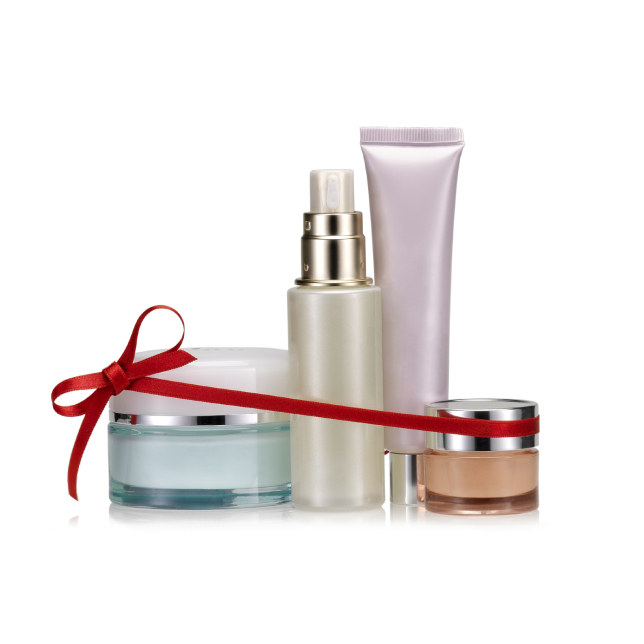 Go through your product catalog, pick out the ones that would make for great holiday presents, and include them in your holiday guide. Bonus points if your guide can add real value (instead of just plugging your business). On top of gift recommendations, why not throw in recipes, party ideas, or tips for enjoying the season? Check out what Starbucks did. For 2014, the coffee company sent out a holiday gift guide to their email subscribers to entice people to check out their brews and merchandise. 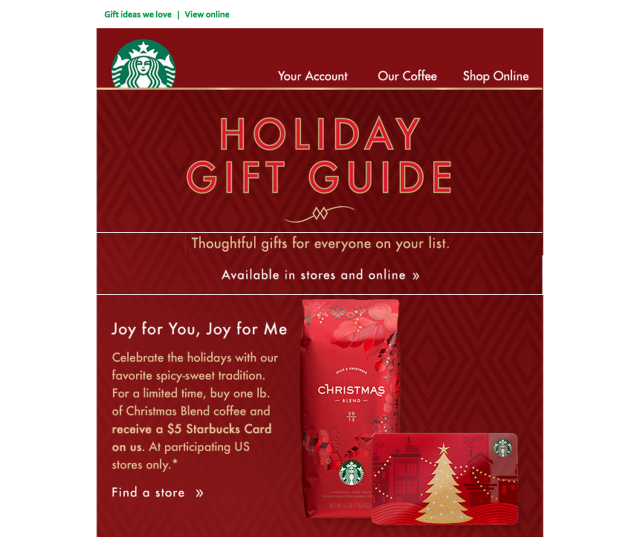 And in addition to their holiday picks, Starbucks also added a link to their “Holiday Pinspiration” board on Pinterest that’s filled with recipes and gift ideas. Depending on your store, you could consider spicing up your product mix during the holidays by selling items you don’t usually carry. If your main products don’t normally make for great holiday presents, it would make sense to branch out a bit. Take for example, Lucky Brand, a retailer that specializes in denim. As Forbes puts it, since “jeans are a tough gift for people to give to someone else,” the retailer shifts is merchandising mix to add more shoes and accessories to their catalog. You may want to do the same if you find yourself in the same holiday dilemma. At a time when customers are getting even more marketing messages and emails in their inbox, how can you stand out and get them to notice your offers? One word: personalization. Be more targeted with your offers. If you’re sending out emails, tailor your messages to the buying history and preferences of your customers. Touch base with people who bought from you in the past and remind them of the reasons why they love shopping with you. Tell them their favorite brand is back in stock and you’re giving them a special discount just for being a regular customer. 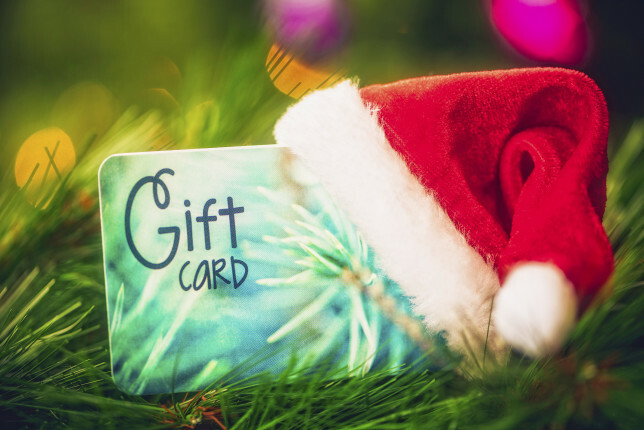 Gift cards may get a bit of flack for being impersonal, but they’ve proven to rake in sales, especially during the holiday season. 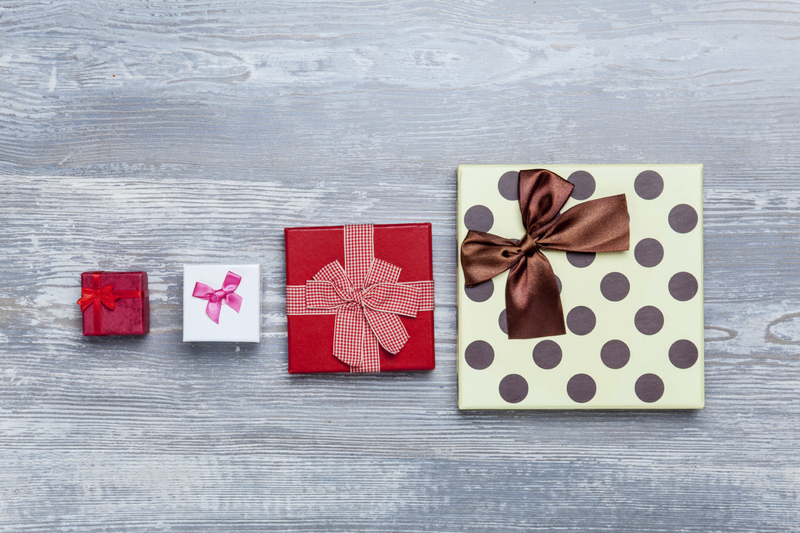 The NRF found gift cards to be the second most popular gift this year, with 56% of consumers saying they’re planning to give them as presents. Gift cards are a godsend for last-minute shoppers who don’t have time to cook up gift ideas, so see to it that you stock up on them in the coming weeks. Help your customers out by displaying them at checkout and other prominent parts of your store. Also have your associates remind them that you have gift cards in stock. 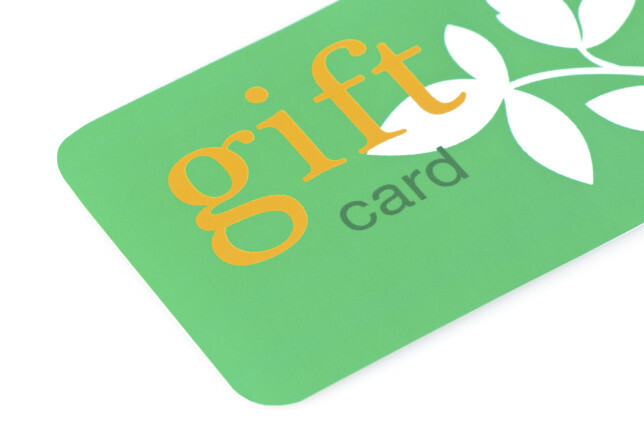 Some retailers, such as ESSIO, are even letting customers print out gift cards themselves so they can get them on the spot. “For the truly last minute shopper this year we plan to offer digital gift cards so someone could literally order, print and create a card as a gift for someone on Christmas Eve / Day,” says Friis. Determine your top-selling and most gifted items during the holidays, then put the spotlight on those products by placing them in a special display or shelf. Make sure people see it (and know what it is) by putting signage along the lines of “Holiday top sellers” or “Gifts for him/her”. Depending on your business, you can structure your gift-wrapping services in a number of ways. You can offer it as complementary service to add value to purchases and give people another reason to buy. Or you can add certain conditions such as “Free gift wrapping with every $50 purchase.” You could also offer gift wrapping as an upsell to increase people order values. 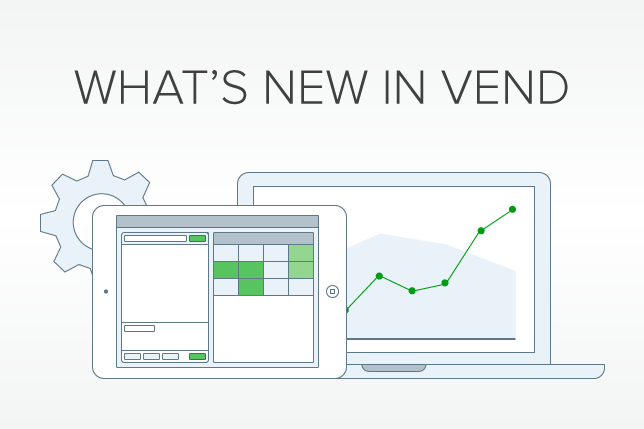 Vend tip – are you a Vend user? Our customer management software makes it easy to build and manage customer lists, so you can view, sort, and group shoppers according to factors like purchase history, balance, and location. 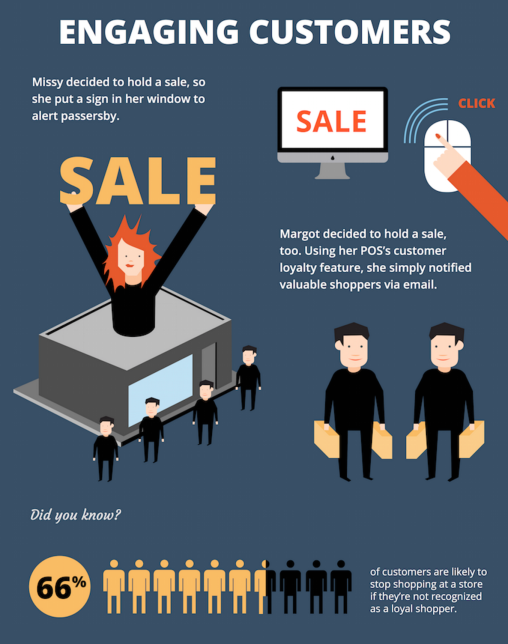 In some cases, you may not even have to “push” your discounts to customers. Have a look at what Express, an apparel retail chain did, when it revamped it promotional strategy. In late 2014 (and continuing to 2015), Express decided to hold fewer promotional events. It also relocated its sale items from the front of the store to the back. This move encouraged shoppers to check out their top-notch items first, and allowed the retailer to get more people paying full price without alienating those looking for deals. For some retailers, opening a little early and closing later than usual can make a big difference this season. That’s why plenty of retailers extend their operating hours during the holidays. Last year, for example, Macy’s kept its doors open for 24 hours on December 22 and 23, and remained open from 12 am to 6 pm on Christmas Eve. Similarly Toys ‘R’ Us also extended their hours and stayed open for 24 hours on the 22nd and 23rd, and until 10pm on the 24th. Of course, this doesn’t mean you should automatically follow suit. Some businesses won’t actually benefit from pulling these holiday all-nighters. The best way to figure out if extending your holiday hours would make sense for you is to pay attention to holiday foot traffic trends. Are people coming in earlier or later during the holidays? For example, do you usually have more people waiting for you when you open your doors, or do you have customers coming in when you’re about to close? Next, look at your sales data and determine if the sales you make during your extended hours would offset the costs of staying open. Naturally, if the answer is yes, then you should probably extend your store hours this season. 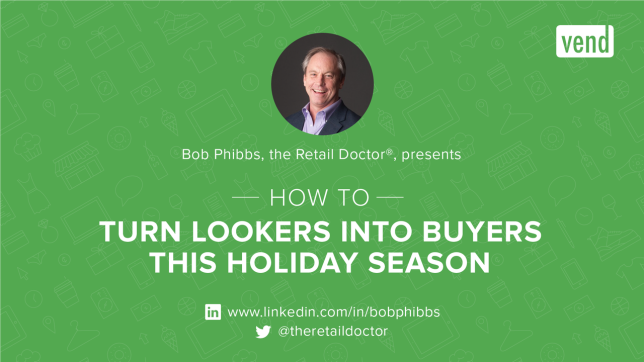 Last-minute shoppers don’t just want to be served quickly, they want to be taken care of. They want you to help relieve their holiday stress so they can get what they need and enjoy the festivities. 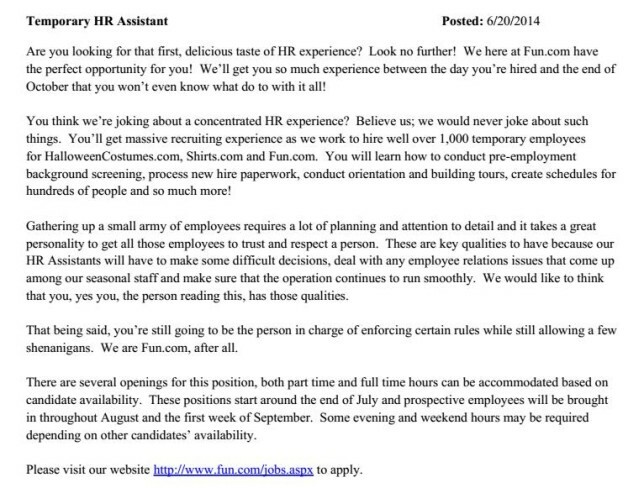 The best way to do this is to engage your employees. As Joe Cecere, president at Little said, “to help last-minute holiday shoppers now—or any time of the year—retailers have to go beyond price and selection. What they need to do is leverage their most under-utilized assets—their employee base. This holiday season, recognize that taking care of your customers starts with taking care of your staff. There are plenty of ways to do this. You can start by determining your store’s peak holiday hours and scheduling shifts so that there’s a healthy associate to customer ratio and none of your employees are overworked. 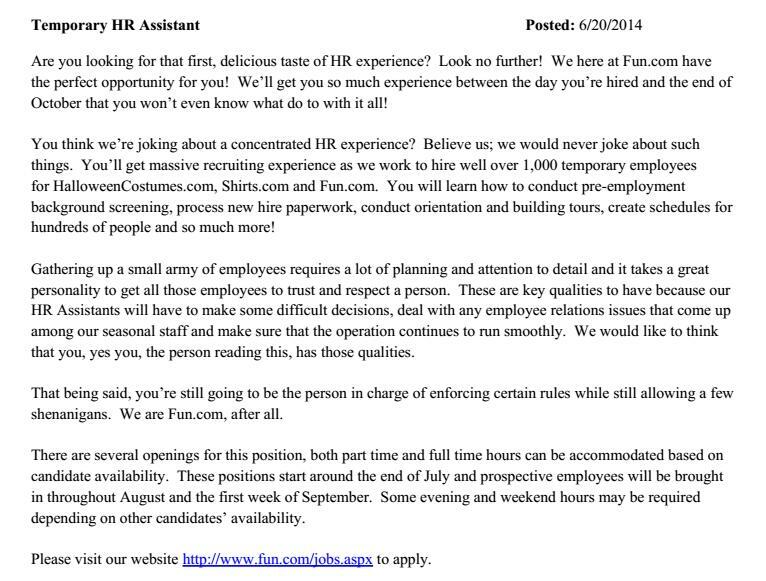 You may also want to hire additional associates, just in case. 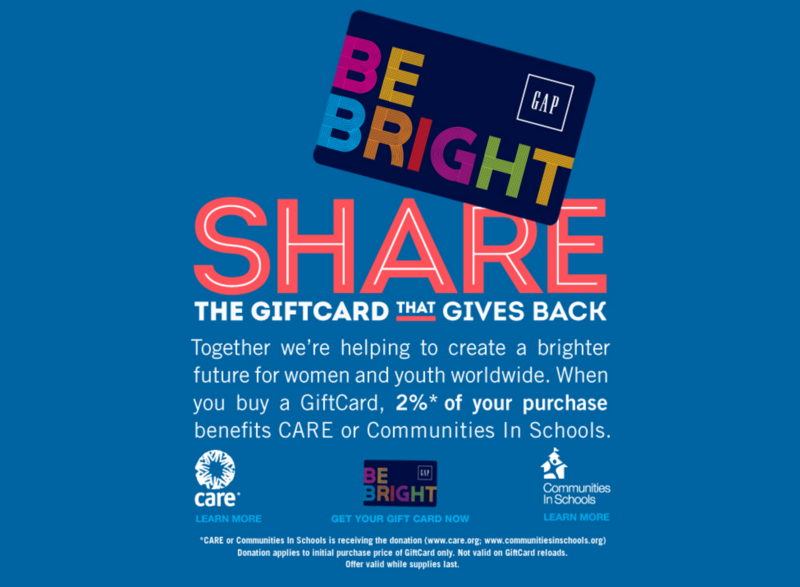 Got any other tips for attracting last-minute holiday shoppers? Weigh in below. 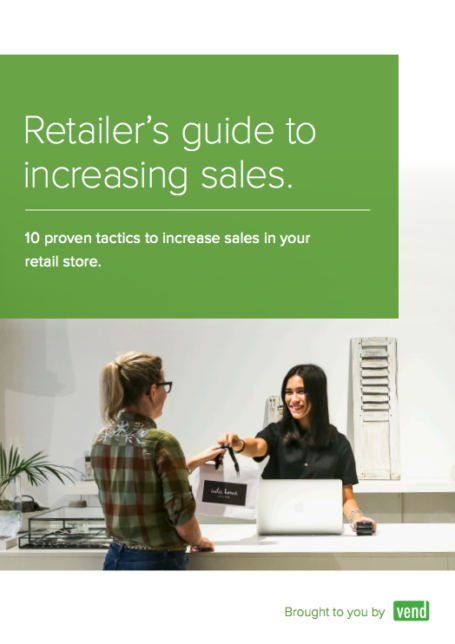 The post 10 Holiday Tips to Attract and Convert Last-Minute Shoppers appeared first on Vend Retail Blog. Foot traffic is one of the most important measures when it comes to running a brick-and-mortar store. More traffic means more opportunities for sales and customer engagement, which in turn leads to higher revenues. 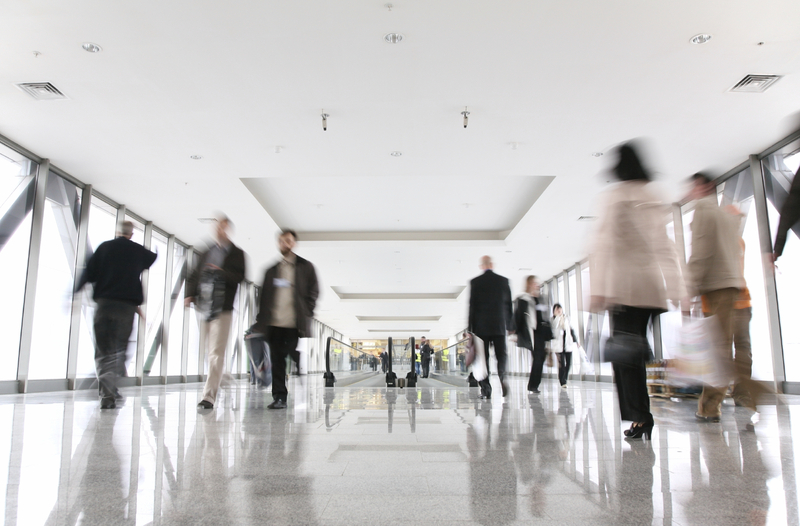 This is why you should continuously strive to increase foot traffic in your physical location. Even if you think you’re getting enough store visitors as is, you can always do better. 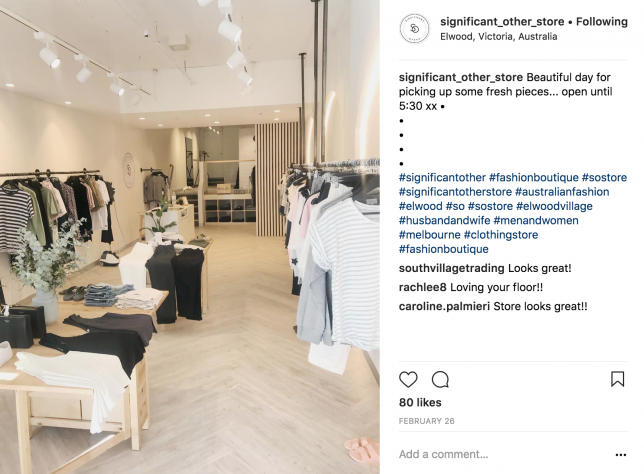 There are still a lot of potential customers out there that you can tap into, and you there are plenty of things you can do to increase store visits from existing customers. Need some ideas? 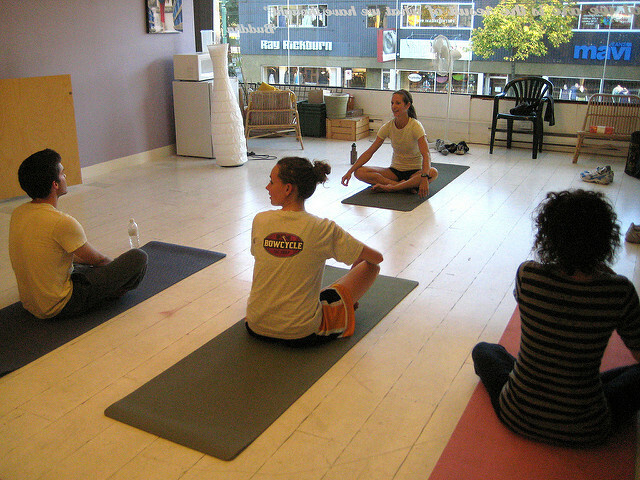 Below are some tried-and-tested tips on how you can drive foot traffic to your retail location. A spruced up storefront can do wonders for your curb appeal. No one wants to walk into a store with dusty windows or peeling paint, so stay on top of these maintenance tasks. Certain jobs, such as sweeping your storefront and cleaning your windows should be done daily, while other tasks only need to done every few months years. A good paint job, for instance, can last years. That said, you may still need to perform re-touches every now and then. Step out of your store and look at it from the outside. Evaluate the physical state of the windows, doors, and walls, and identify the things that need sprucing up. You should assign people to perform various maintenance tasks. 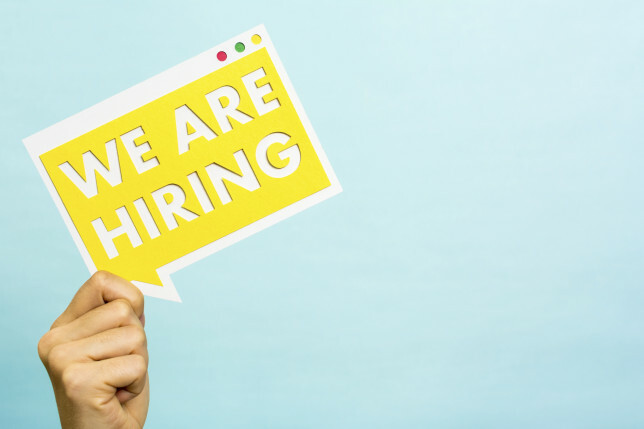 Perhaps your employees can take turns doing different jobs, or you could hire a third-party to maintain your storefront for you. Go beyond typical window displays and clean curbsides by adding extra elements outside your store. 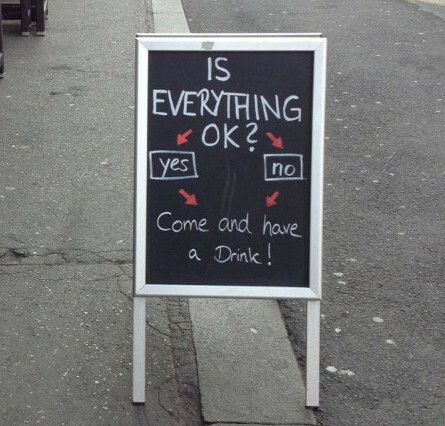 For instance, you could put out a sandwich board that welcomes people with a witty message. Some retailers are adding curbside elements that shoppers can actually use. Take for example, Snyder Cycles, a bike shop in Atlanta. Snyder Cycles set up bike racks outside their store, where customers can park their bikes while shopping. Your store associates may not technically be part of your curbside, but if you have a large window that shoppers can look into, then how associates behave in-store may affect people’s decision to walk-in. For example, bored-looking sales staff can be a turn-off to potential customers who are considering shopping at your store. Prevent that by ensuring your store employees are always mindful of how they look and act even if there aren’t customers inside the shop. See to it that they look busy or welcoming at all times, so passers-by will be more enticed to come in. Do you have any in-store promotions going on? Got an event coming up? Keep your customers posted via email and social media. Mention any perks of showing up in-store, such as exclusive offers that can only redeemed on-site or the chance to peek at new collections that aren’t available online yet. 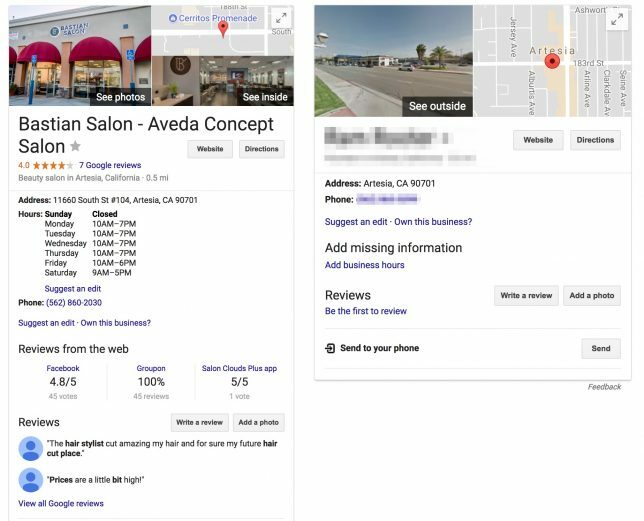 For best results, target your posts based on your customers’ demographic information, location, and purchase history. For instance, if you’re having an event at your San Francisco store, then only send out an email or post to people in that area, otherwise you risk alienating your other customers. Let your ecommerce site drive in-store traffic by offering click-and-collect services in your stores. Such initiatives will not only get people to your physical location, but they can potentially increase sales in the process. What’s more, about 50% of respondents have opted for in-store pick up, and 45% of them have bought something else during their trip to the store. 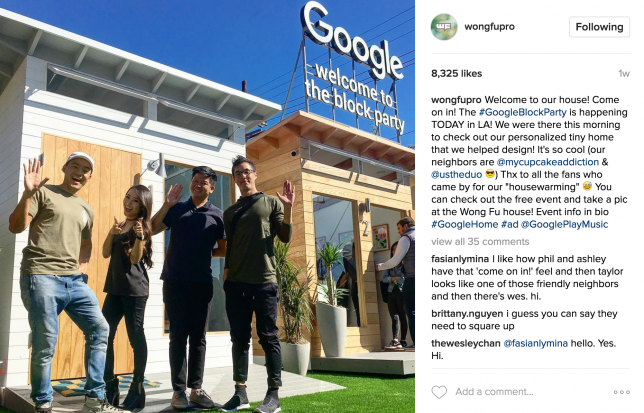 Hosting events is one of the best ways to get people to head to your store, because they offer experiences attendees won’t find online or in other shops. Tapping into new customers is great, but don’t forget about your existing customers. Provided that you’ve cultivated great relationships with your shoppers, you’ll find that it’s actually much easier to invite current customers to come back than it is to draw in people who are completely new to your brand. That’s why it pays to maintain strong customer relationships. If you haven’t done so yet, invest in a customer relationship management (CRM) system so you can communicate with shoppers more effectively. “Rather than just putting up a SALE sign in the window, CRM functionalities can allow retailers to track and connect with their most loyal shoppers, easily letting them know about events like Small Business Saturday or any holiday sales they’re having,” says Justin Guinn, a market researcher at Software Advice. Indeed, a strong CRM system lets you easily see who your best customers are and how they’ve interacted with your brand in the past. Such information enables you to figure out how to reach out to shoppers in the most relevant way, so you can increase the chances of conversion. For example, if you’re having a promotion for a particular brand, you can check your customer database to see who has shopped that brand in the past, so you can notify them. Are you a Vend user? Be sure to take advantage of Vend’s customer management tools so you can build your database and foster strong relationships with each of your shoppers. Learn more here. Getting people through the door is just the first step. What gets shoppers coming back (and what increases your foot traffic for the long term) is providing exceptional services and experience once customers are inside. 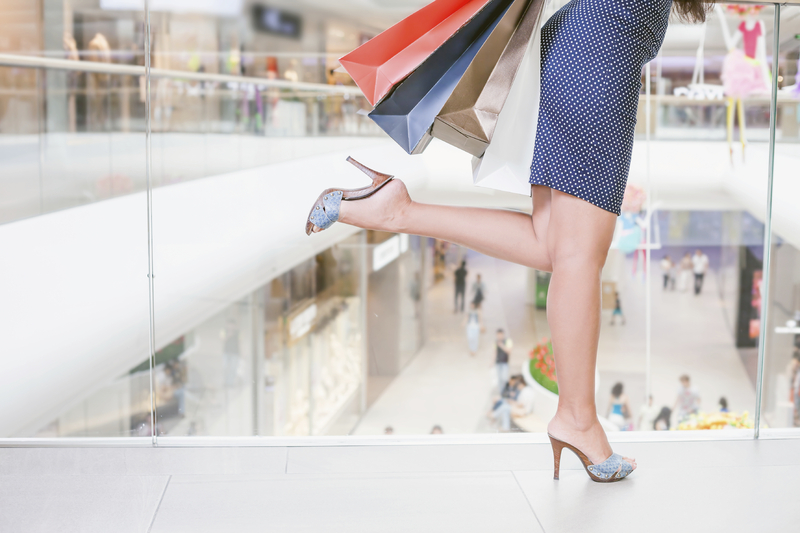 Invest in things that’ll make shopping more convenient and delightful. Depending on your store, these can be anything from a faster POS and inventory management system to better fixtures and fitting rooms. Walk around your store in your customers’ shoes and find ways to improve. But do remember that when it comes to improving the shopping experience, the best investment is the one you make in your employees. You can have the prettiest shop, score the hottest in-store tech, and run the most enticing offers, but if your staff members provide substandard services, then the shopping experience will always fall short. Keep these insights in mind when you’re training your staff. Educate them well and utilize various training methods to ensure that everyone performs at the highest standards. Instill in them that the importance of getting to know customers and going above and beyond for shoppers. Do all of the above, and you’ll be well on your way to creating an experience that wows customers and drives long term foot traffic success. How are you planning to drive foot traffic this holiday season? As a consumer, what are the things that would make you want to walk into a retail store? Let us know in the comments. 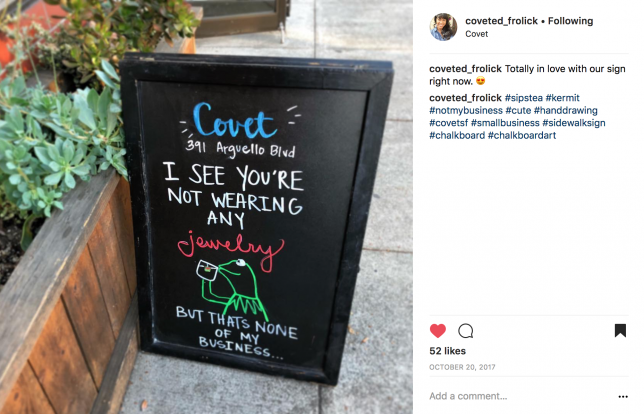 The post 5 Proven Ways to Drive Foot Traffic to Your Retail Store appeared first on Vend Retail Blog.